Height 13cm. We are part of the global Red Cross and Red Crescent humanitarian network. We refuse to ignore people in crisis. Weight: 453g. 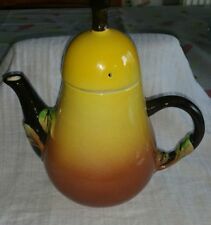 You are bidding on this lovely Carlton Ware Coffee Pot from the Fruit Range. 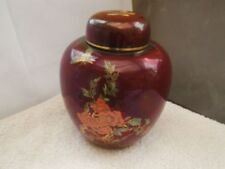 It is in the form of a Pear and is in good condition, minor wear due to age, please see pics It measures approx 8 inches high to top of lid. 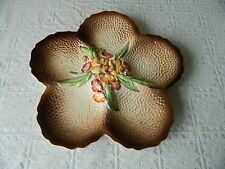 Oval form featuring a dimpled surface in tones of brown with hand painted relief primula or buttercup type flowers, reminiscent of an age gone by. Manufactured in England, English design. Backstamped on base in ink. Base has Carlton Ware stamp and impressed shape number which I think is 1100, but this is rather indistinct. 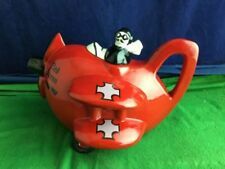 Size---------------------------------22cm tall at handle. CARLTONWARE: Retro Oval Dish. 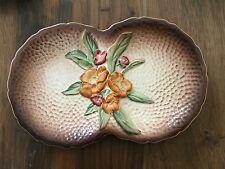 Oval form featuring a dimpled surface in tones of brown with hand painted relief primula or buttercup type flowers, reminiscent of an age gone by. Manufactured in England, English design. 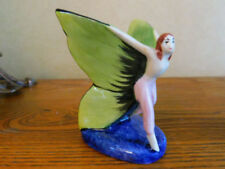 It is in good condition and has Carlton Ware stamp and number 3021 embossed underneath. 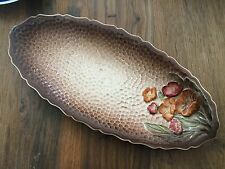 CARLTON WARE DISH. AUSTRALIAN DESIGN.